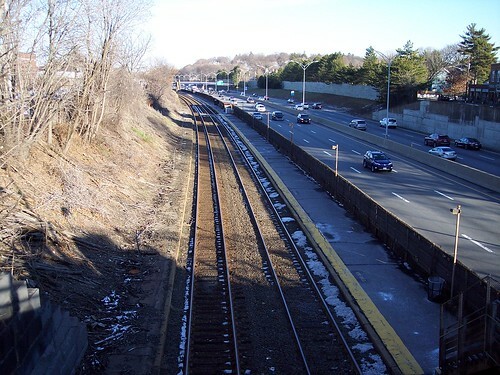 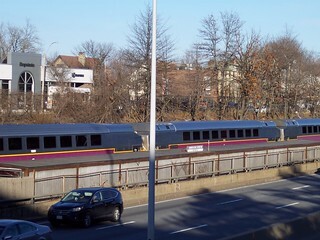 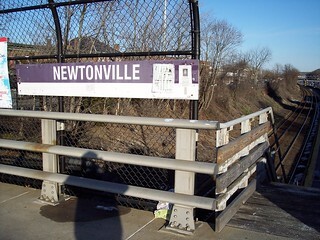 The single platform at the Newtonville station is right next to the Mass Pike. 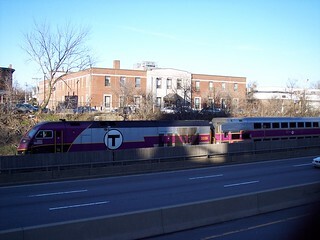 A westbound train stops at the station. 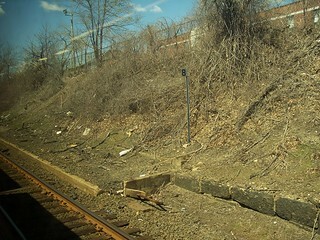 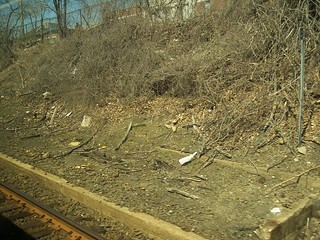 On the far side of the tracks are the remains of a much older platform.